TED, stands for Technology, Entertainment and Design, is a nonprofit global organization devoted to spreading ideas and views in almost all topics. The best minds who have deeper understanding, innovative creation or inspired thinking in their field are welcomed to the annual TEDGlobal conference. TED talks are free to everyone via online streaming site - ted.com. Meanwhile, people can download the splendid and valuable talks to watch offline or for collecting the great ideas. If you like to download the favorite talks videos or ted talks audio as I do, you can’t miss the tutorial. Free HD Video Converter Factory offers the quick and easy solution to download TED talks video and audio. It supports videos and playlist downloads from TED, YouTube, Facebook, Dailymotion and other 300 + sites and enables you to convert any videos & audio to MP4, AVI, FLV, 3GP, MP3, etc. Step 1. Open the video on its own page. Step 2. Click on “Share” button in the upper-right corner of the video player, and then you’ll see the Download options. Step 3. (Optional) If you want to download video with subtitle, choose “already translated subtitle” in the drop-down list. What’s more, you can choose to download MP4 video or MP3 audio. Step 4. 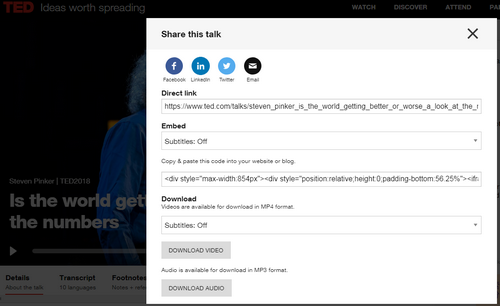 Specify an output path and click on “Download” button to save the ted talks audio or video. Now you can try the new way – Free HD Video Converter Factory to download any TED talks as you wish. More than a TED talks downloader, it empowers you to do more things. 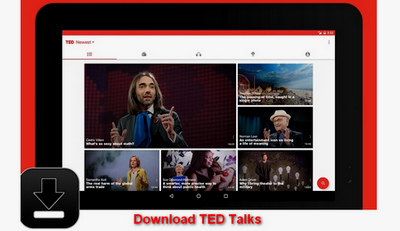 Besides downloading TED Talks on its official site directly, you can also use a good third-party TED talk downloader. Free HD Video Converter Factory is a simple and self-explanatory tool for TED talks download. It enables you to download virtually any videos online using URL easily and enjoy the lightning-fast download and conversion speed. This versatile tool allows you to choose the desired resolution, size and even formats of TED talks video, add subtitle to video, change video resolution and merge videos. Lunch Free HD Video Converter Factory. Click “Download Video” button, and then you’ll see the Add New Download window. 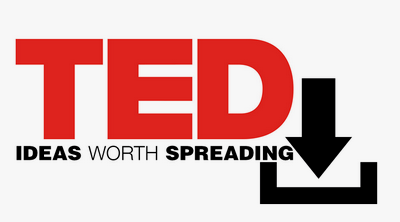 Copy the TED talk URL that you want to download TED talk and paste it to the ADD URL box. After that, click on “Analyze” button. For instance, here I download the talk - “Is the world getting better or worse” from Steven Pinker. Soon the URL analysis process will be finished. Choose the desired resolution, size and format form the drop-down list. Next specify an output folder and hit “Download” button. If you only need to download ted talks audio, click Output Format button on the main interface and then select MP3 profile under Audio tab. Finally, hit “Run” button on the lower-right to start the conversion. If you want to merge the downloaded TED talks into one, select the “+Merge” icon in the main interface. And you can cut the files and add subtitles, as well. Now you must have learned how to preserve these invaluable ideas. After get the TED talks downloaded, you can not only play them on your devices, but also burn them to CD or DVD for backup. Just enjoy the "ultimate brain spa"! 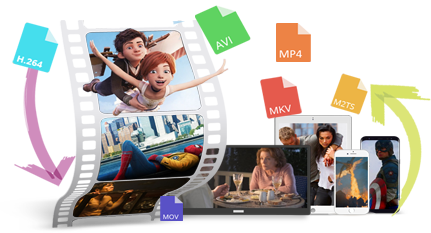 By using Free HD Video Converter Factory, you can download videos from over 300+ sites at faster speed, access to more features including editing, various pop and latest video formats conversion, SD to HD enhancement at high compression rate, etc. The platinum version of Free HD Video Converter Factory supports video download & conversion at 50 x faster speed and batch mode. Moreover, the newest encoder and formats such as WebM, ALAC, FLAC, H.265,VP9, and ready-made presets for pop devices like iPhone 8 and Huawei P10 are available. More other advanced features are waiting for you to explore.